Blogs and updates from Rahel. In these pictures from August 7, 2017 we are literally "up in the sky". As part of the International summer program Nusantara School on Difference, I taught Iyengar yoga sessions to our group composed by people from different religions and nationalities. After waking at 4:00 am, we climbed the kelimutu to observe the sun rise. 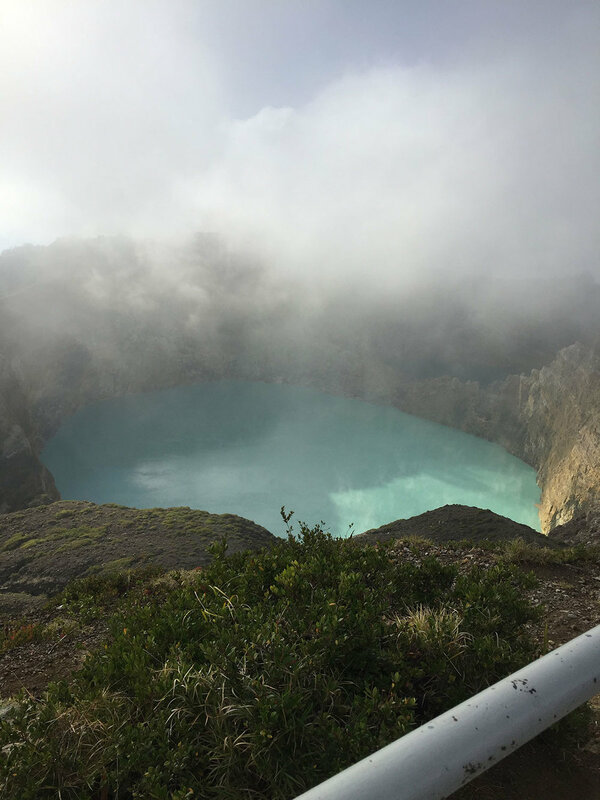 At the top of this old volcano, there are 3 lakes, of different colors where it is said souls of the deceased rest. Our group was awed by the beauty of this setting. 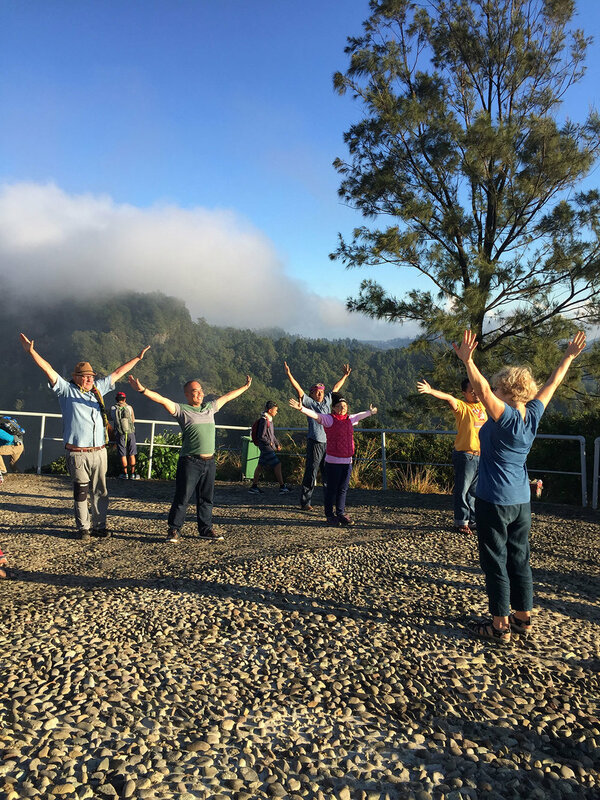 The sun which was at first hidden by clouds made a sudden apparition and the group decided that it was the right moment to engage in a morning yoga practice. As we were doing our yoga poses, others joined, it was a very joyous way to start a new day in Flores, Indonesia.